The manhattan. It’s a classic. It’s delicious. It’s my favorite. For the uninitiated, a manhattan is, at it’s essence, a whiskey martini. The main difference being that a manhattan is full of flavor and a martini is more bite than taste. Like a martini, a manhattan has two main ingredients, a spirit and a vermouth. Additionally, the manhattan needs a few dashes of bitters. Most agree that rye whiskey is the original spirit used in the manhattan. Bourbon followed soon after so both will do fine in this drink. Technically, any whiskey (other than scotch, that makes a Rob Roy) will work. Please, learn from my mistakes. 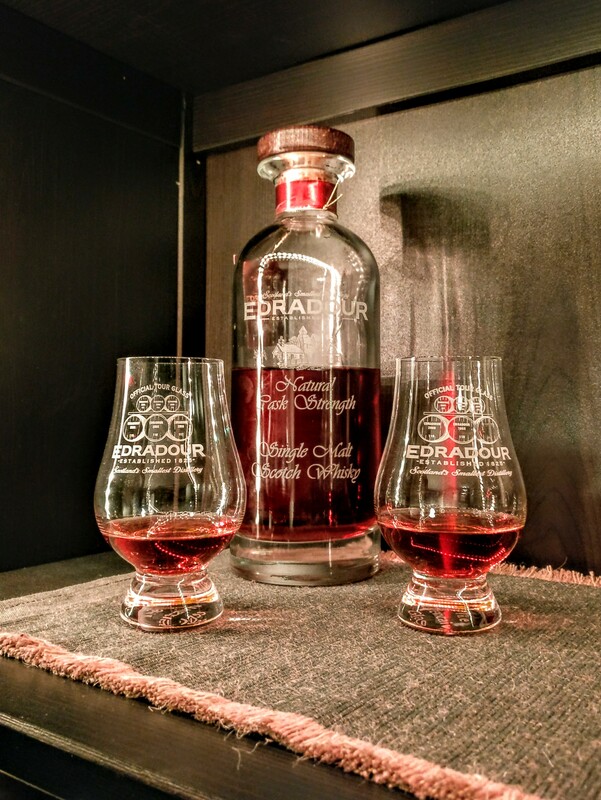 Stick to Bourbon and Rye. Manhattans call for sweet/red vermouth (a strong red wine fortified with herbs and spices) in a 1:2 ration with whiskey. The problem with that ratio is that it doesn’t take into account the sweetness and strength of the vermouth itself nor that of the whiskey. It’s hard to go wrong with a 1:2 ratio but understanding your ingredients and how to use them will bring the cocktail from good to great. If a manhattan is anything, it’s spicy and sweet, in that order. Most mediocre manhattans suffer from being too sweet. A sweet bourbon mixed with an overly sweet vermouth can get cloying. I drank bourbon manhattans for years before making the jump to rye to help solve this problem. I find that a strong rye mixed with a sweet, heavy vermouth makes for a wonderful drink. After years of experimentation, I’ve come up with a manhattan that I’m truly proud of. It’s a 1:3 ratio of vermouth and whiskey that’s slightly larger than average and very spice forward while retaining much of the sweetness from the vermouth. Pour all ingredients into a mixing glass full of ice. Stir until well chilled. 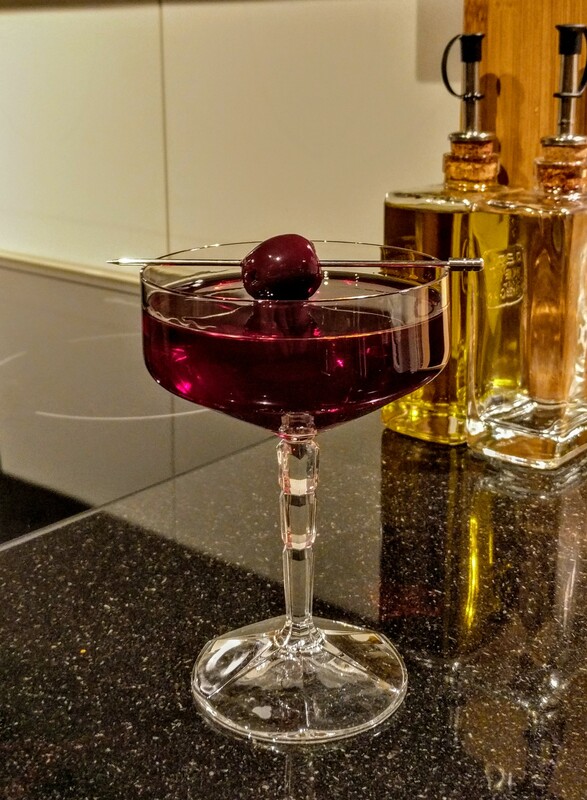 Pour into a cocktail glass (I prefer coupes) and garnish with a brandied cherry. Sometimes, you just have to get away. After completing my latest manuscript and sending if off my my beta readers, I packed up and went on my first writing retreat hosted by friend and fellow writer, Hazel Manuel at her country villa outside Saumur, France. The basic structure of this five day six night retreat consisted of morning workshops with Hazel, afternoon work time, and evening share outs. All of this is peppered by delicious meals catered by Chez Teresa in Fontevraud and a Wednesday night wine tasting (it is France afterall) by La Giraudiere which were both fantastic. I’m by no means experienced with writing retreats but there were a few aspects that were expertly thought out and made the week seemless. First, there were only four writers at the retreat not including the host. That felt right. There were enough minds and voices to drive discussion, and analyze work but few enough to allow space for everyone to participate. Second, the scheduling of the week was well balanced. It was a busy week but never felt rushed. There was plenty of time for work but also plenty of time to take in your surroundings. Finally, the workshops were developed in a way that ensured progress for your project by the end of week. Each day tied into the next and you couldn’t help but grow your story by the end. If this sort of retreat sounds intriguing, take a look at Hazel’s retreats page.